You can choose the short (2755mm) or long (3105mm) wheelbase option and if you need to move particularly bulky or awkward items you can also opt for a high roof. Ergonomically designed door handles make it easy and quick to access the back and loadspace through the sliding doors. You can have peace of mind on the road at all times in the Doblo Combi as the Electronic Stability Control device, Hill-Holder function and four-sensor ABS all combine to keep you on your intended course. The clever eco: Drive Professional feature will make sure the Doblo performs to its best and you can save up to 15 percent on fuel costs by following the advice. The system will analyse your driving and then suggest ways that you can adjust your style to improve economy and sustainability. To help you complete difficult manoeuvres you will find parking sensors that activate as soon as you select reverse gear. To support the confident nature of the exterior design you will find a well-equipped, comfortable cabin space, offering a huge amount of room for all occupants. High-quality materials are used to reduce the engine noise inside, meaning a more refined driving experience. The infotainment system features a built-in MP3 player with Bluetooth connectivity so you can make hands-free phone calls on the move. The new Doblo Combi range includes five engine options, with each one designed to maximise the output level of your business. For optimum efficiency, the 1.2 MultiJet II 89bhp model offers up to 62.8mpg, which is achieved through a combination of forward-thinking aerodynamics, low rolling resistance tyres and Start&Stop technology. Bi-link rear suspension results in smooth journeys and the greater stability will mean your cargo is better protected as well. 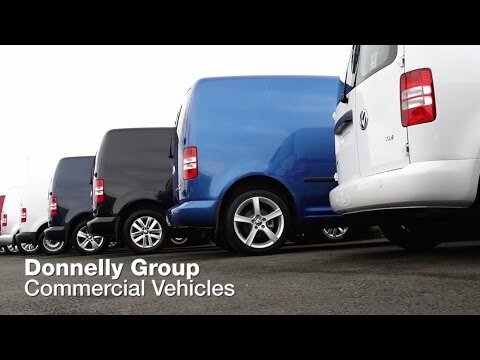 For more information about the new Fiat Doblo Combi and how it could help your business, contact the Donnelly Group today. We have dedicated business experts at all of our dealerships who will be on hand to offer you expert help and advice with all aspects of commercial vehicle ownership.